Sri Jagannath Center (SJC) was established in 1998 (1997 started informally) in India with the objective of teaching jyotish in the tradition of maharishis like Parasara and Jaimini. Jyotish or Vedic astrology is taught by a panel of jyotish gurus in the traditional jyotish parampara of Sri Achyuta Dasa of Jagannath, Puri. SJC attempts to infuse the highest standards of integrity through the strict discipline of yogic practices of Vedic tradition including training in remedial measures. 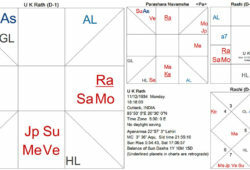 Vedic Astrology has always been taught in the Guru-Sisya parampara and most of these traditions of jyotish draw their lineage from Maharishi Parasara. This makes the Brihat Parasara Hora Shastra (BPHS: a compendium on astrology) as the basic text book for learning Jyotish. However, BPHS teaches Hora shartra or Astrology. The term Hora is derived from two words ‘Aho’ meaning ‘Day” and ‘Ratra’ meaning ‘Night’. Thus, this is the knowledge of the effect of time (Qualitatively) on the lives and times of peoples and nations etc. 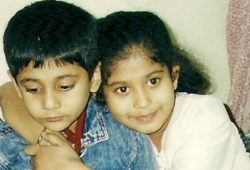 Blessed with two beautiful children – elder daughter Aditi and son Somanath. b. 29 Oct. 1943 at 4.55 am IST at Jajpur, India 86 E 25?, 20 N 51? Born Suprabha Tripathi her name was changed to Manjoo Rath at the time of marriage on 23 Feb. 1961. She is the eldest daughter of Dr. Kailash Tripathi and has three brothers and three sisters. An elder sibling was stillborn. He was the youngest child of Pt. Jagannath Rath and Chandra Devi. Sanjay and Sarbani tied the knot amidst blessings from their parents, family and friends. 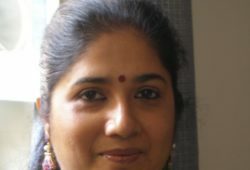 Sarbani has put together some of her published papers, reviews and musings from a long, public stint in environmental studies and community rights and the enriching experiences of her esoteric and hidden self as Tarotist and Vedic Astrologer at her webpage. Publicly, she worked as a social scientist specializing in environment, law, rights and the history of ideas while privately, she collects tarot decks, dabbled in I-Ching and learnt Jyotish. Ṛṣi Atri (family) » Rathātreya Ṛk Veda Maṇḍala 5; Pt. 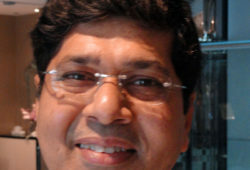 Sanjay Rath belongs to Atri Gotra i.e. the lineage of Brahmarṣi Atri and Anasuyā Devi. Pt. Sanjay Rath belongs to Atri Gotra i.e. 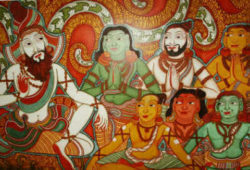 the lineage of Brahmarṣi Atri and Anasuyā Devi. Brahmarṣi Atri is the seer of the fifth maṇḍala (book) of the Rig Veda. He had many sons including the three famous ones – Soma, Datta and Durvāsā who were the incarnations of the trimūrti – Brahma, Vishnu and Rudra respectively. Sanjay Rath belongs to a traditional family of astrologers from Bira Balabhadrapur Sasan village of Puri, Orissa, which trace their lineage back to Shri Achyuta Das (Sri Achyutananda). Sanjay studied under his uncle, late Pandit Kasinath Rath. His grandfather, the late Pandit Jagannath Rath, was the Jyotish Ratna of Orissa and authored many books on Jyotish. He began his studies at a tender age, and received the depth of Jyotish only found among those who have been trained in the ancient traditional way of the parampara. In order to operate the Site in an efficient and effective manner and provide users with information on astrology services & products that may be of interest to them, SRath.com may collect personal information, including contact information (such as an email address), from its users. In addition, this information allows us to provide users with relevant astrological details.